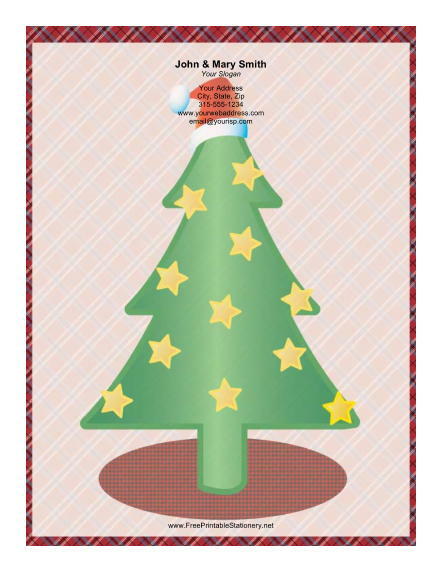 On this paper, a large Christmas tree is decorated with gold stars and topped with a red and white Santa hat. This main image is surrounded by a red plaid border. If you are looking for festive Christmas paper for your holiday letters, this is an excellent choice.